Croom (knee) is listed as active Sunday against the Packers. 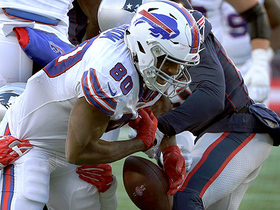 Analysis: While Croom will be ready to play despite logging a few limited practices, fellow tight end Charles Clay (shoulder/hip) will also be healthy enough to suit up for the Week 4 matchup. 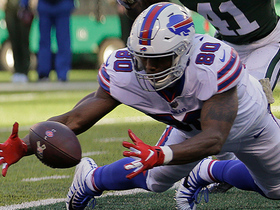 Croom does have a catch in all three games this season, but his fantasy upside will always be limited with a relatively healthy Clay ahead of him on the depth chart. Croom (knee) is officially questionable for Sunday's game against the Packers. Analysis: Croom was added to the injury report with the knee issue this week and was a limited participant Thursday and Friday. 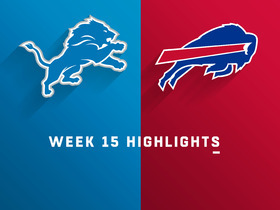 The 24-year-old scored his first NFL touchdown last week and could see increased offensive snaps again Week 4, with starting tight end Charles Clay (shoulder/hip) also listed as questionable. 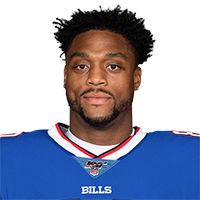 Croom was listed as limited for Thursday's practice due to a knee issue, the Bills' official site reports. 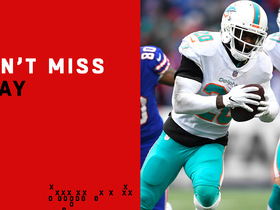 Analysis: Assuming he can work through the issue, Croom -- who scored his first pro TD in Week 3 -- could have a decent Week 4 workload in store if starting tight end Charles Clay is limited or has to sit this week. Clay missed practice Thursday due to shoulder and hip issues. 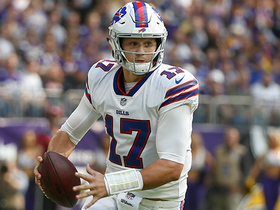 Croom was only targeted once Sunday but made it count as he reeled in a 26-yard touchdown pass from Josh Allen during Sunday's upset win over the Vikings. Analysis: Croom isn't going to be heavily targeted in the passing game just yet, but he's clearly passed Logan Thomas, who was made a healthy inactive Sunday. Croom could get more looks if starter Charles Clay continues to disappoint, though in reality he'd need an injury to Clay to see meaningful production. Croom caught two of three targets for 18 yards in Sunday's loss to the Ravens. Analysis: Croom appears to be sharing No. 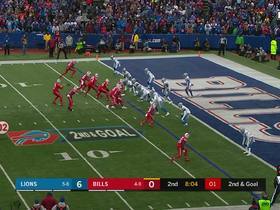 2 tight end duties with Logan Thomas behind Charles Clay, as both players saw the field for 18 offensive plays (28 percent) to Clay's 40 (62 percent). Clay has fought a balky knee among other issues for several seasons, so the situation between Croom and Thomas is worth watching in the event their senior teammate goes down for any length of time in 2018. 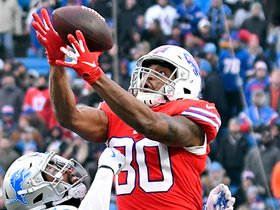 Croom is one of four tight ends kept by the Bills after the team cut Nick O'Leary and Keith Towbridge on Saturday. 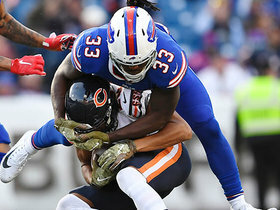 Analysis: It'll be Croom, Logan Thomas and Khari Lee left to work behind starter Charles Clay, while Croom looks like the best bet of the three to serve as the No. 2 to begin the season. 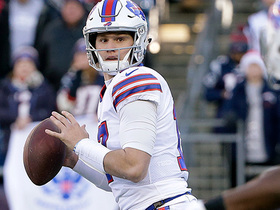 Note that the former wide receiver displayed some pretty good hands while at Tennessee, where he worked with potential QB starter Nathan Peterman before the latter transferred to Pitt. Croom caught both of his targets for 38 yards -- including a 17-yard touchdown -- in Sunday's preseason loss to the Bengals. Analysis: Croom has been quietly working his way up the tight end depth chart all summer. At the very least he's the No. 3 tight end, and he's definitely staking claim to the No. 2 status held by Nick O'Leary, who didn't catch a pass Sunday.